(NaturalSociety) Inspired by a recent Facebook post from a friend I usually share opinions with; I was confronted with an interesting topic for debate. 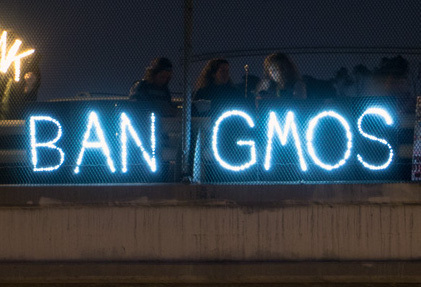 Do we label GMOs, or simply ban them as other countries already have? Will labeling them force Monsanto, Dow, Bayer and others to go bankrupt, allowing scientists to prove that ingredients they put in our food caused cancer, eventually forcing responsibility for poisoning millions, or is labeling a moot point already? Of course, we assume that GMOs being bad for us is a forgone conclusion – and how could it be otherwise. There seems to be a new, independent scientific study outlining Bt toxins or transgenic dangers in GMO crops almost every month. Despite this, the US government has fast tracked genetically modified food crops in ever-new variations as if they were completely harmless. Thus far, Hawaii, California, Vermont, North Dakota, Montana, Colorado, and Washington have attempted banning and labeling GMOs in the US, and sections of, or entire countries of the EU have banned GM crops, including Italy, France, Austria, Germany, Luxembourg, Portugal, Greece, Spain and the UK. Also, Switzerland, Norway, Australia, New Zealand, Egypt, Algeria, Paraguay, Thailand, the Philippines, as well as Saudi Arabia have banned certain GM crops, from wheat and maize, to potatoes. More recently, Brazil, Russia and Mexico have also banned GM crops. So why is it still a question in the US? 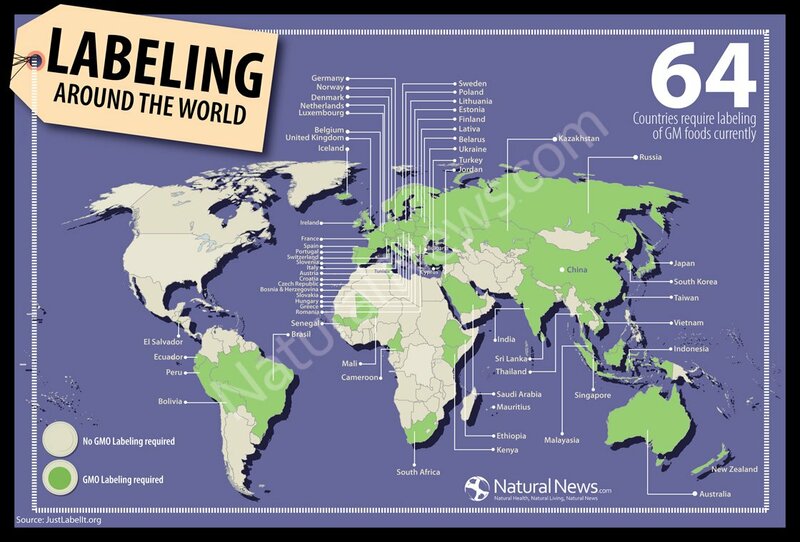 As we demand labeling are we missing the larger point of banning these poison crops altogether? 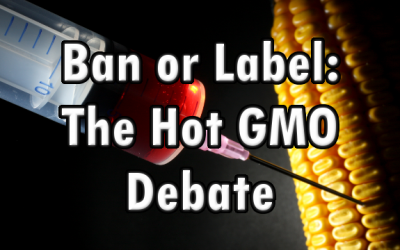 Will strict labeling laws really help stop GMOs? Many mandatory labeling advocates point out that once companies are required to label GMO ingredients, they reformulate their products to be GMO-free, rather than risk rejection by consumers, and lose valuable profits. We have seen companies respond to consumer demand recently, from Whole Foods promising to go GMO free, to Subway removing a toxic substance from its fresh-baked breads, but this also assumes that the biotech industry is interested in consumer demand. Sure, the Grocery Manufacturer’s Association, comprised of companies that use GMOs in their foods are against mandatory labeling, but Monsanto and Dow, et. al are likely more interested in tampering with the food supply and population control than winning a consumer popularity contest. (Read the United Nation’s ‘Agenda 21’ if you aren’t familiar with what I’m talking about). And one of the largest, more discussed issues: GMO labeling will NOT protect organic crops from GMO contamination. Only a cooperative effort between consumers and non-GMO farmers of banning cultivation of genetically modified foods in as many local areas as possible will rescue us from the future peril of scorched earth by biotech. Retail labeling will do nothing to stop these GMO monsters, especially here in fast-food nation where most don’t really care what’s in their food. Contamination from GMO crops and seeds has already happened often. The USDA’s four mile buffers aren’t effective, and worse, there’s the even more difficult to ascertain GMO contamination at the seed level. 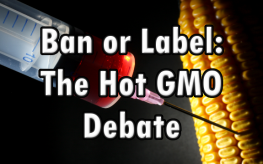 Consumer labeling at the retail level implies non-GMO and GMO crops can coexist. This is totally untrue. As the debate rages on, we will have to think as these megalomaniacs do, and not as if they are concerned, moral individuals looking out for our best interests. I, for one, doubt they care what I think about GMOs in my food at all. What do you think? The honest, correct and ethical thing to do is to BAN GMO’S altogether!!! Screw’em! Screw’em all!! All them bastards deserve the gallows! Once again blatant corruption prevents the US from being ahead of the curve.